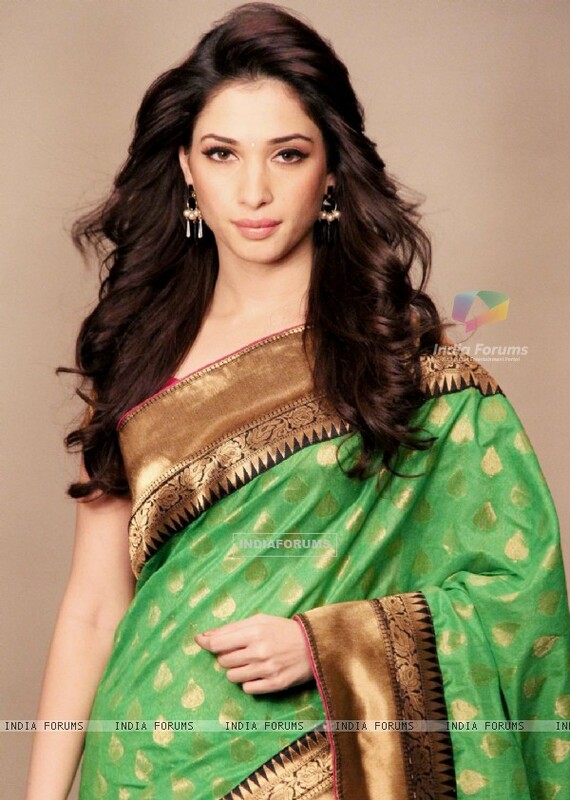 I decided to make a stragazing thread for one of the most beautiful Indian actresses, the one and only Tamannaah Bhatia. Heh, I do love seeing her blinged out in pseudo-traditional clothes. Kind of bummed that her next two Hindi release (It's Entertainment, Humshakals) have her mostly in western-style street clothes from what I can tell. I completely agree with you ! I think she looks her best in traditional clothes (a bit like Aishwarya in fact). As for me, I’m kind of bummed that her next two Hindi releases will have her play the accessory arm-candy I’m sure I’ll watch those films anyway (just like I watched Himmatwala for the sole reason that she was in it). Ah, this girl is gorgeous! I liked her face so much that I watched several South-Indian films JUST FOR HER! (because other than that somehow I did not manage to raise my interest in Tolly and Kolly Not yet). I was quite disappointed when I realized she was a mere eye-candy in most of them, and where not, I did not really love those films (for example 100% love). I think my fav films of hers are Paiyaa and Badrinath (the latter mainly because of shirtless Alu Arjun), and now I just really hope she will not become another Asin - doing side-kick roles in big masala Hindi films from time to time, not really being taken seriously. And my favorite Oosaravelli sari. Adding some pictures via attachment from her recent Joh Rivaaj shoot. You know, I also actually got into SI cinema just because of Tamannaah ! Her promo pics for Himmatwala got me intrigued; thus, when I stumbled upon 100% love, I decided to watch it just to see her acting (I was absolutely not interested in the movie at first)…And my, was I astonished to see that not only she could act, but she could also dance! Following this, I became a fan of hers and watched all the films in which she starred that I could find. If you want to see her in a more than eye-candy role, I recommend Oosaravelli, Happy Days, and the first ten minutes of Endukante Premanta (just the first ten minutes, really…). I share your thoughts about her venturing into Hindi cinema... I hope she’ll get to have meatier roles than Asin but I know it is wishful thinking. If only I could get my hands on Thadaka!! The song promos are so great!